New Delhi, Jul 02, 2018 : The Supreme Court on Monday refused an urgent hearing of a plea challenging the constitutional validity of the practice of polygamy and nikah halala (a requirement for a divorced couple to remarry) among the Muslim community. "The Supreme Court Constitution bench will hear the matter in due course," the bench told petitioner Sameena Begum who urged that the plea be heard on Tuesday, saying she was facing threats to withdraw the plea. Earlier, while issuing a notice to the Central government, the court noted the grounds stating that though these practices come within the domain of Muslim personal law, they were not immune from judicial review under the Constitution. Telling the court that though different religious communities are governed by different personal laws, Upadhyay had contended that "personal laws must meet the test of constitutional validity and constitutional morality in as much as they cannot be violative of Articles 14, 15,21 of the Constitution". Pointing to the "appalling" affect of polygamy and nikah halala and other practices on the Muslim women, senior counsel Mohan Parasaran had told the court that the 2017 judgment holding instant triple talaq as unconstitutional had left these two issues open and did not address them. A five-judge constitution bench, headed by Chief Justice J.S. Khehar (since retired), by a majority judgment in 2017 had said: "Keeping in view the factual aspect in the present case, as also the complicated questions that arise for consideration in this case (and, in the other connected cases), at the very outset, it was decided to limit the instant consideration, to ’talaq-e-biddat’ - triple talaq. 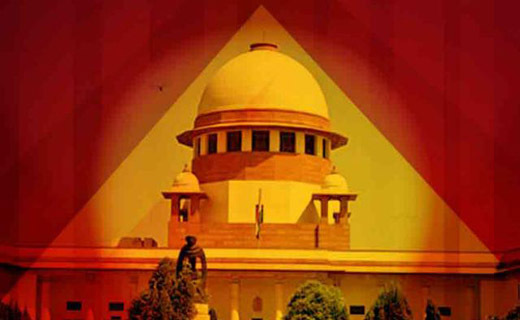 "Other questions raised in the connected writ petitions, such as polygamy and nikah halala (and other allied matters), would be dealt with separately. The determination of the present controversy may, however, coincidentally render an answer even to the connected issues."